One example of a NAS cell. This cell processes inputs from the two previous layers in a neural net. Proxy end-to-end search: Explore thousands of architecture on a scaled-down proxy task, apply the 100 best ones to the original task, validate and deploy the best of the best architectures on the car. The first graph shows about 4,000 architectures discovered with a random search on a simple set of architectures. Each point is an architecture that was trained and evaluated. The solid line marks the best architectures at different inference time constraints. 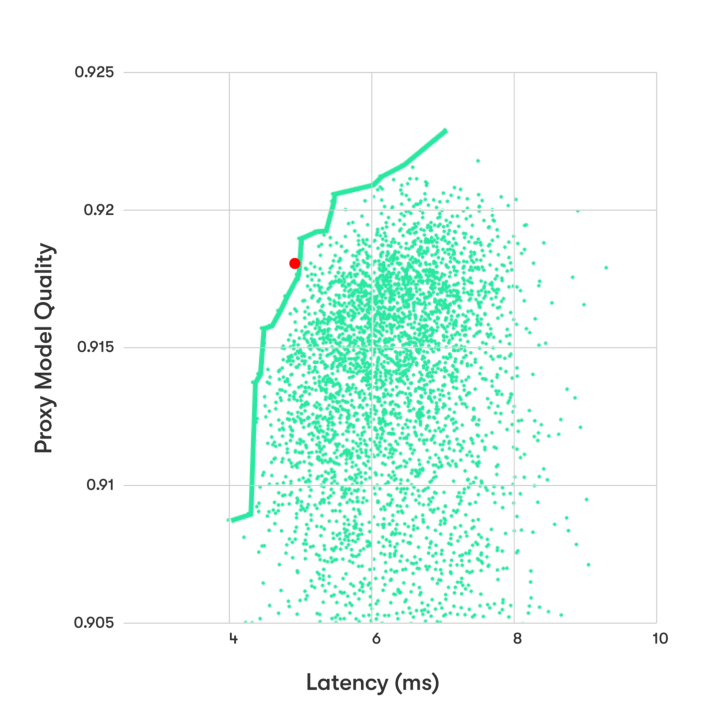 The red dot shows the latency and performance of the net built with transfer learning. In this random search, the nets were not as good as the one from transfer learning. In the second graph, the yellow and blue points show the results of two other search algorithms. The yellow one was a random search on a refined set of architectures. 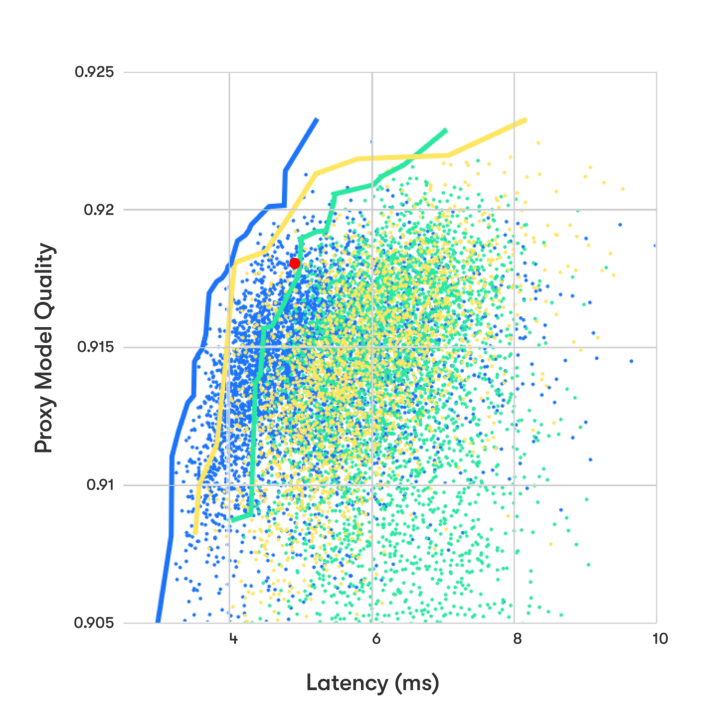 The blue one used reinforcement learning as in  and explored more than 6,000 architectures. It yielded the best results. These two additional searches found nets that were significantly better than the net from transfer learning. One of the neural net architectures discovered by the proxy end-to-end search. Barret Zoph and Quoc V. Le. Neural architecture search with reinforcement learning. ICLR, 2017. 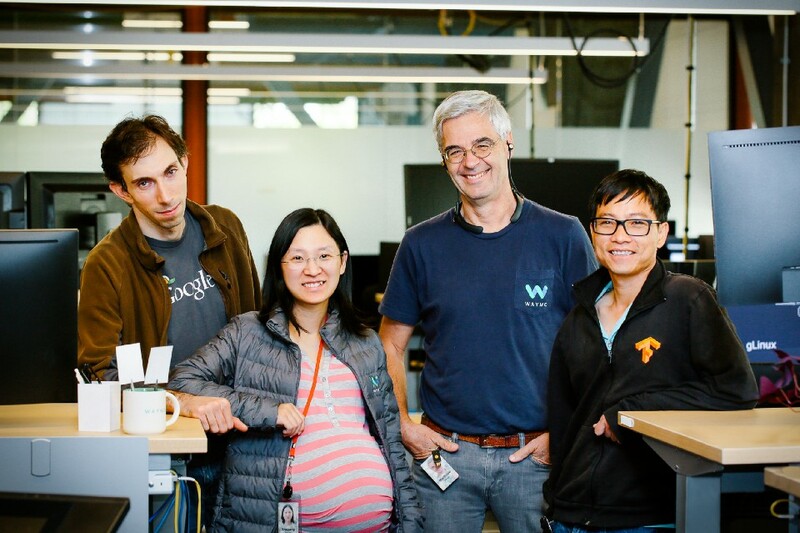 Barret Zoph, Vijay Vasudevan, Jonathon Shlens, Quoc V. Le, Learning Transferable Architectures for Scalable Image Recognition. CVPR, 2018.